The opioid epidemic – So you want to talk about personal responsibility? 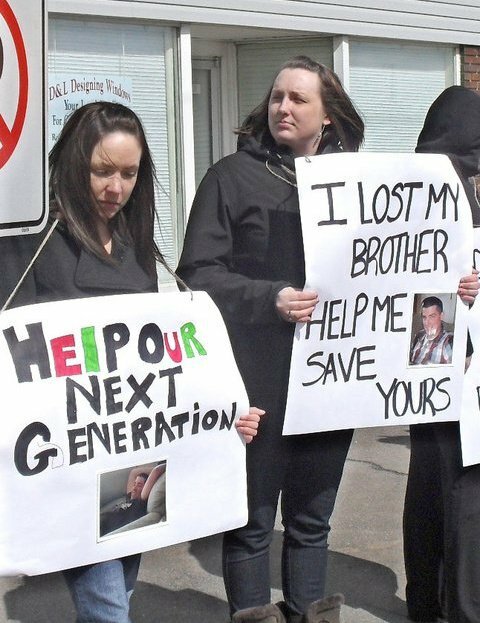 In March 2011 I lost my younger brother Josh to an accidental overdose of hydromorphone. I started raising awareness regarding the prescription drug epidemic, more specifically opioids in my local community. This was the birth of Get Prescription Drugs off the Street (GPDOTS) and began my mission to bring awareness, education, and accountability to the issue. Over the years many committed community members and professionals have joined the GPDOTS team helping create meaningful change. Since starting my advocacy I repeatedly hear over and over again: “What about personal responsibility?” or “Nobody forced him to take those drugs”. I am the first to admit that Josh was responsible for the choice he made to consume hydromorphone that night. Josh also paid the ultimate price, he lost his life. I don’t know how much more personal responsibility he could have, what more can he do at this point? As Josh’s family we decided to take some “personal responsibility” and create awareness regarding his death in hopes the public would be educated how dangerous opioids are. We wanted to turn a tragic and horrific event in our lives into something that could create positive change in hopes of saving another life. Many members of GPDOTS have joined the team under similar circumstances and get hurtful comments about overdose victims or users “personal responsibility”. A large portion of society has no problem pointing out the personal responsibility of a drug user but why does personal responsibility stop there? If everyone involved was accountable for their actions many tragic circumstances could be prevented, not to mention resources in the health and justice system saved. What about the personal responsibility of big pharma? Many opioid manufacturers minimized the risks of these drugs while exaggerating the benefits. This misleading information led to a large increase in prescribing for medical conditions opioids were not traditionally prescribed and conditions in which opioids were not an appropriate treatment. The high rates of irresponsible prescribing also led to diversion and prescription opioids also flood the illicit street market. What about the personal responsibility of enforcement? They have a duty to investigate overdose deaths to the fullest extent possible. They have a duty to follow protocol and enforce laws currently in place. Moral judgments of someones drug use should not determine whether these cases are worth investigating or whether they should be equipped with naloxone to reverse overdoses. Shouldn’t government hold some personal responsibility? Should we not have accessible addiction services, harm reduction and effective prescription monitoring programs? Shouldn’t the government have a personal responsibility to ensure doctors are being educated in a manner that is not influenced by big pharma? The governments lack of personal responsibility has created a huge opioid dependent market which organized crime is now capitalizing off of with fentanyl. Doctors should also have a personal responsibility to educate their patients on the risks of opioids and the potential for addiction and overdose. There are many other people whose personal responsibility has a direct influence on the opioid epidemic. These were just a few examples. GPDOTS is focused on creating education, awareness, and accountability in relation to the opioid epidemic. If stakeholders and the government were accountable and exercised their personal responsibility we could reduce the impact opioids are having on on our communities.